Size: approx. 8 mm. Photo: 06/08/16, 10 pm. Larval development of this species is completed in about one year but can take up to three years in seasoned wood (hardwoods, especially oak, hickory, and maple). 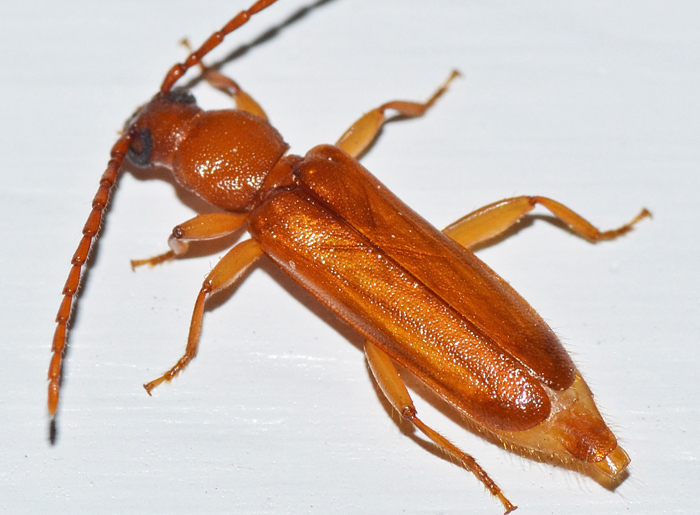 The Flat Oak Borer often infests stored lumber and larvae continue to feed after the wood is in use. Another common name is Flat Powder-post Beetle. This specimen was attracted by our porch lights.